I've come to Seven Gates Cemetery nursing a broken heart, but peace is hard to come by, for the ghosts here and for me. When the body of a young woman is discovered in a caged grave, I know that I've been summoned for a reason. Only I can unmask her killer. I want to trust the detective assigned to the case, for he is a ghost seer like me. But how can I put my faith in anyone when supernatural forces are manipulating my every thought? If you could sum up The Sinner in three words, what would they be? Another fantastic addition to The Graveyard Queen series. Amanda Stevens managed to do it again, i am seriously addicted to this series. I cant wait for the next one, which is also the last one! 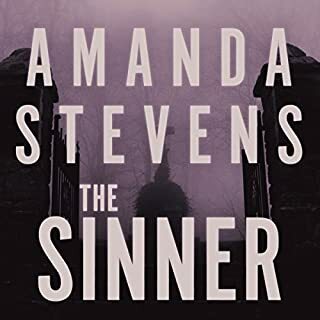 It is difficult to imagine, but The Sinner is even more creepy then the previous books and the end will leave you stunned and gasping for more ; ) The narrator is perfect, i dont think they could have found someone else to do the job better. Awesome! Rachel Connery is on a seek-and-destroy mission, out for revenge against the mysterious, charismatic man who enticed millions of dollars from her dying mother and cheated Rachel out of her inheritance. She wants retribution and is willing to use every seductive trick at her disposal to obtain it. But desire is a dangerous weapon that cuts both ways, and her trap could end up catching her in a nightmare of forbidden feelings. 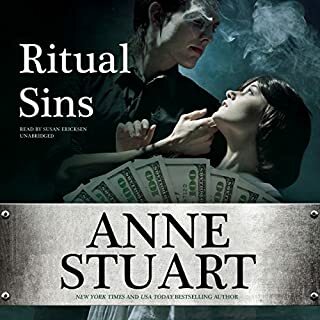 Where does Ritual Sins rank among all the audiobooks you’ve listened to so far? One of the best and I am an audiobook junky. What other book might you compare Ritual Sins to and why? Everything, she did the perfect job...especially Luke' s voice. 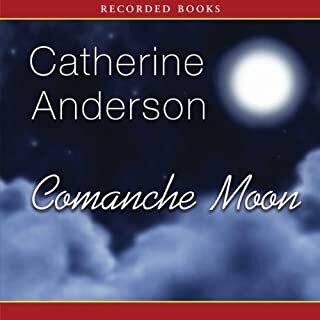 Loved it...i loved this book since i read it the first time, but remaking it in the audio version really took it to new heights. If you like your hero dark and dangerous and heroine that can give as good as she gets you will love Ritual Sins. Highly recommended! Where does Lord of Danger rank among all the audiobooks you’ve listened to so far? What was one of the most memorable moments of Lord of Danger? Everything, she did a fantastic job...just perfect. But i knew that after her performance with The House of Rohan. 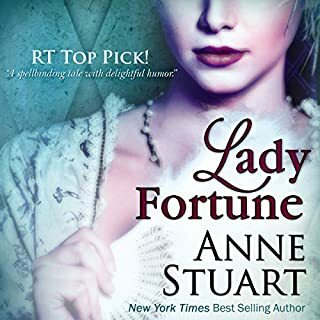 I always believed that from all the narrators of Anne Stuart's books she is the best. Very happy that it finally happen and awaiting Ritual Sins next month...yay! After a loveless arranged marriage, Julianna plans to join a convent. Yet she finds herself in wickedly provocative conversation with, of all men, the king's mocking, ribald "wedding present" to the Earl. Nicholas - the jester, the fool, and a mere commoner who immediately decides to seduce her while procuring the chalice for King Henry. GREAT STORY, NOT SO SURE ABOUT THE NARRATOR. Would you listen to Lady Fortune again? Why? What was one of the most memorable moments of Lady Fortune? Dont have one memorable moment, but have memorable characters instead. I love Nicholas...i mean who wouldnt even if he is not the typical medieval knight or a sorcerer, but the king's fool. That was unexpected and fun. Julianna is also a great character and their love story delightful. The secondary romance involving Julianna's mother was also interesting. By changing the narrator. Susan Ericksen would be perfect (Rohan series was her absolute masterpiece). I am not trying to be unkind but, actually anyone would be better then this lady. Her style of reading just dont go together with Anne's stories. Absolutely loved the story, performance not so much. It was worth the credit though. Would listen to the rest of the series.